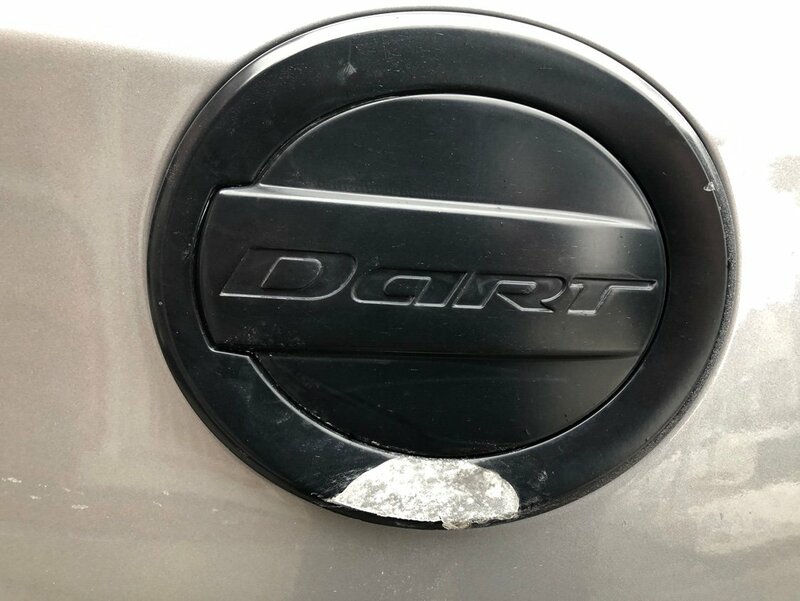 I did some maintenance on the dart today. 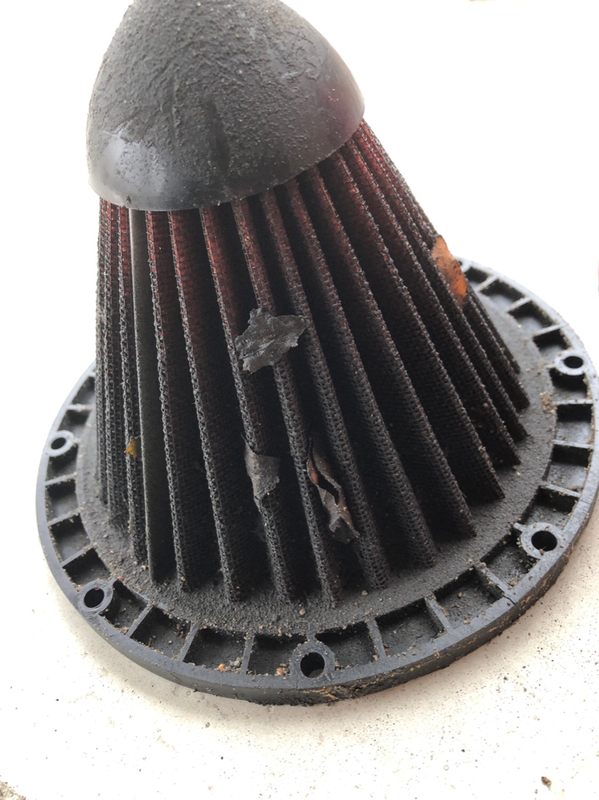 Cleaned the KN filter from my HPSI intake. It’s been 37k KMs since it’s been cleaned. I went way too long and will definitely be cleaning it on a more regular basis. Replaced the champion RE16MC plugs with a fresh set. There was 17k KMs on the current set. There was some oxidation on the tip of the plugs from cylinder 3 & 4 that wasn’t present the last 2 times I changed these plugs. Not sure if it’s something I should be concerned about but I’ll monitor it. I was really upset to see what had happened to my black Mopar fuel door. 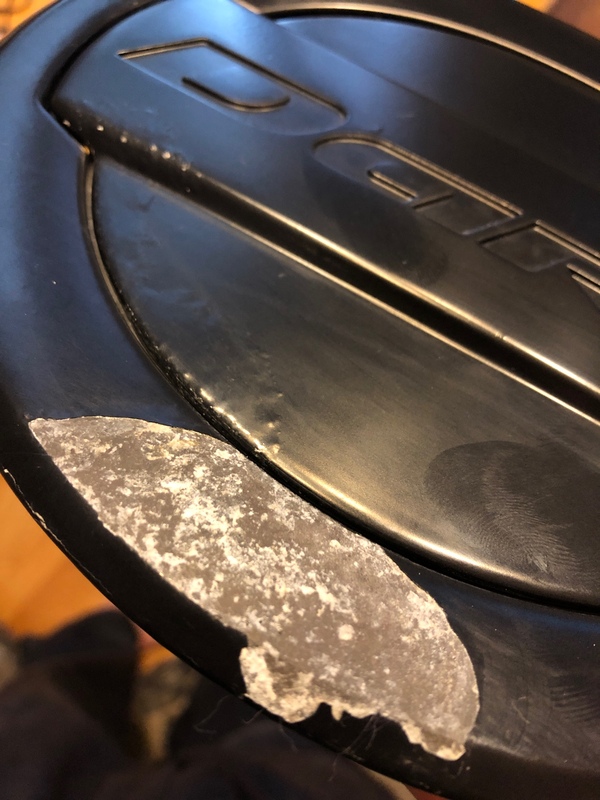 My car had been parked in the garage all week and when I pulled it out yesterday I noticed the matte black finish had flaked off the bottom of the door. It looks like water was pooling in the bottom of the lip. I assume with the extreme changes in temperature we’ve had the past few weeks it caused the paint to fail. The entire bottom of the door is beginning to bubble and flake. There was no damage to the door and it hasn’t been repainted. There is supposed to be a 24 month warranty on Mopar accessories. I’ve contacted FCA Canada and I’m awaiting their response. It’s definitely not something I expected from a Mopar product. That's depressing to see. I'm just glad no one hit the car while you were away. i was thinking about getting one of the gas doors like that. Do you think that a layer of clear coat would help make sure that the peeling like that doesn't happen? this vehicle is very powerful my friend is using this for towing service 24/7 towing companies near me, and very satisfied from the performance. I'm sorry...what does this have to do with the topic? It's spam. I reported it along with the bogus posts the spammer made to get a post count that allows a link. Moderators are not here often enough in my opinion. Oldarter#63, Killraven, dad's dart and 2 others like this. It's not that I'm to old or set in my ways to avoid Facebook, but I really don't like it. Mostly, because it's way too "reality" based. As far as personal recognition. And I believe that time has proven that too much personal reality on Facebook was and still is a bad thing. If there is one single freedom that I had to choose from, Privacy about specific personal information is the top choice for me. So, give me a Forum where I can express my thoughts and consider other peoples thoughts , without the I.D attachment. Just saying. Facebook is creepy in so many ways. Also, the name/product of a particular Forum is just a springboard for many other shared bits of info. Both useful and the non-useful . But speaking of the modern Dart (2013 to 2016) , I still think there are owners enough (early buyers and current used buyers) to support a Forum like this. For people who appreciate special cars. Translated: a Chevy Cruze doesn't deserve a Forum. Nor a Ford Focus that isn't an ST or an R. Nor a Toyota Corolla of any year. Etc, Etc...... but a Dart does deserve one. If only for style and attitude, it deserves a Forum. I noticed the matte black finish had flaked off the bottom of the door. It looks like water was pooling in the bottom of the lip. I assume with the extreme changes in temperature we’ve had the past few weeks it caused the paint to fail. The entire bottom of the door is beginning to bubble and flake. I contacted FCA and was told that my warranty on the fuel door was voided because it was not installed at a dealer. Once again FCA customer support is terrible. I tried to escalate the case to a supervisor but they had closed it immediately after their reply. I’m not sure if @DodgeCACares is still active but it is ridiculous to deny the warranty due to a paint defect because it wasn’t installed at a dealer.